Made from 100% pure essential oils. 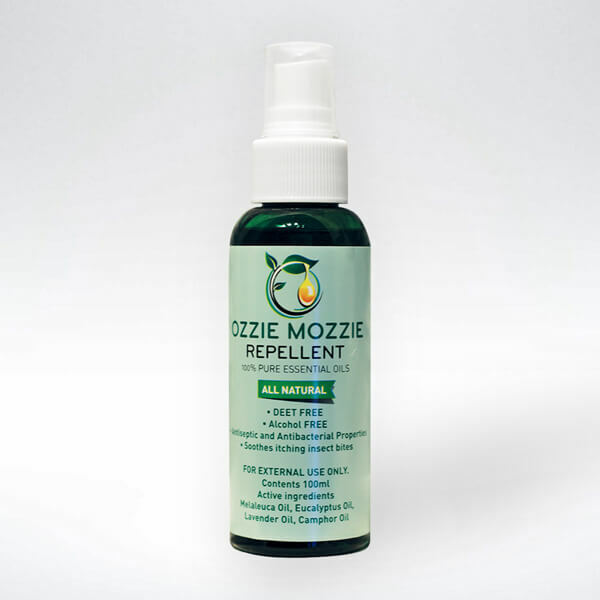 Ozzie Mozzie Repellent is highly effective against most biting and annoying insects including mosquitoes which carry Ross River virus, Dengue fever and Malaria. 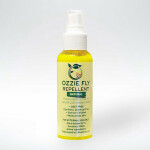 Ozzie Mozzie is DEET-free and alcohol-free with antiseptic and antibacterial properties to sooth itching insect bites. We use a blend of essential oils, which include tea tree (melaleuca), eucalyptus, camphor (white), lavender and spearmint. Where possible these oils have been sourced from Australian producers. 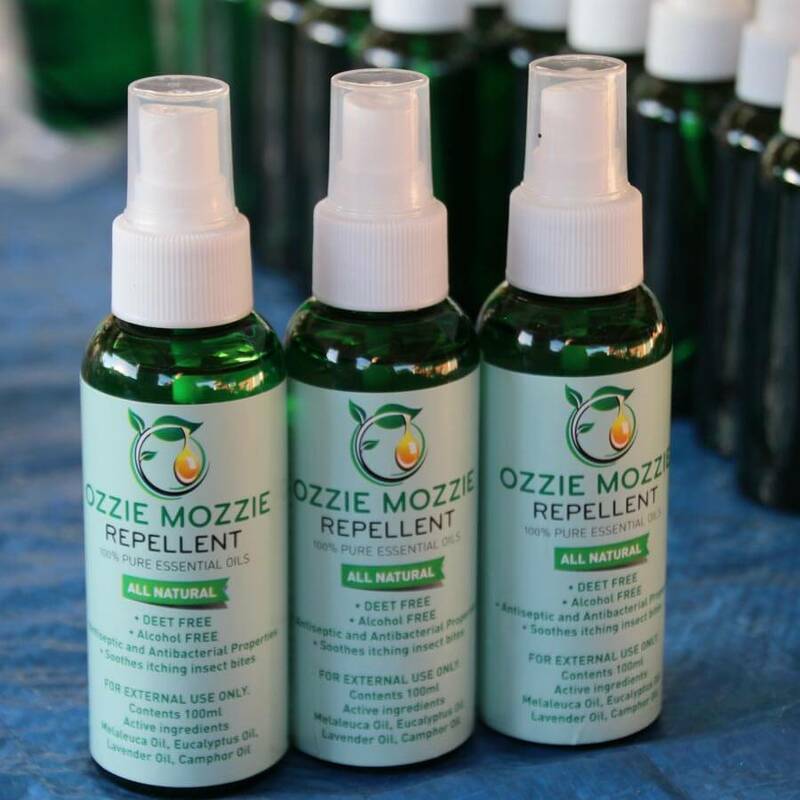 Each of these essential oils have insect repellent properties and when blended in the percentages we use to make OZZIE MOZZIE, are a powerful combination to combat Mosquitoes and other nasty insects. Due to our products being 100% natural with no DEET, Ozzie Mozzie is one of the safest repellents you can use on your baby or child. If you are looking for a natural mosquito repellent for children, Ozzie Mozzie is easy to apply and will also help to take away any previous bite stings. 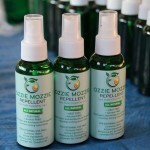 Ozzie Mozzie Repellent was the first of our products. An ALL NATURAL INSECT REPELLENT designed to keep you safe from biting, bloodsucking insects such as mosquitoes, sand flies, ticks, midges and march flies. Mosquitoes are responsible for more human deaths than any other animal. This is because they carry the disease malaria, and although this is not endemic in Australia, anyone travelling overseas, particularly in the Tropics and Sub-Tropics should not leave home without OZZIE MOZZIE. Camphor Oil has similar properties as does Lavender and Spearmint. This is why, when you use OZZIE MOZZIE, any itchy insect bites you already have will be soothed and swelling will be reduced. You may even notice a clearing up of any nasal congestion. By not containing any synthetic chemicals such as DEET [Read More], it is safer and healthier for you to use and is also safe for children. Be guided by the directions on the bottle. By all intents and purposes, a safe, effective and pleasant repellent.